Established in 1868, the Lewis & Clark Library is the oldest library in the state. Between 1868 and 1892, the library was located in various locations along Last Chance Gulch until a permanent location was secured in 1892. In 1892 the library moved to a building adjacent to the city auditorium on Seventh Avenue. On June 29, 1933, the Unitarian Church very generously donated their building on Park and Lawrence to the City for use as a free public library. In 1974, the voters of Lewis and Clark County were asked to approve a $1.8 million bond issue to construct a new building which would become a joint city/county library. The new facility, completed in 1976 was first building specifically built to house a library and it was designed with growth and expansion in mind. 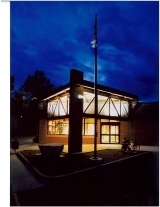 In 2004 the Library again expanded through a complete remodel of the facility allowing for the expansion of the collection, computer lab, and meeting facilities. Today, over 30,000 people visit the Library a month making the Lewis & Clark Library one of the busiest libraries in the state. Your Lewis & Clark Library has lots to offer but you need to have your Library Card with you to check out our great collection of books, DVDs, CDs, magazines, cassettes, and videos! Library cards are free but you do need proof of residency in Lewis & Clark County. Additionally, the Library has plenty of options available for those who live outside of Lewis & Clark County, just stop by and ask our friendly Circulation Staff for more information. In a rush and not sure if you have time to get your Lewis & Clark Library items returned by their due date? Don't worry, the has Library Book Returns at Bob's Valley Market off of Lincoln Road and the Montana City Store in Montana City. Don't forget to visit our branch libraries in Augusta, Lincoln, and East Helena. Check our website at www.lclibrary.org for more information and an updated calendar of events.